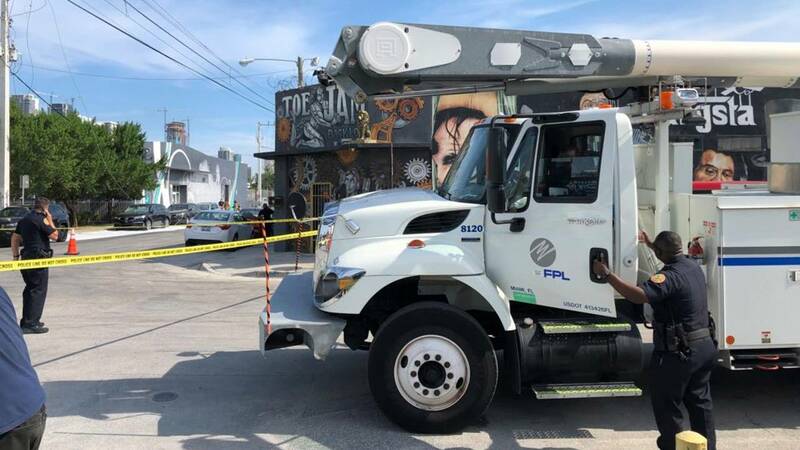 MIAMI - One person was killed after a car crash caused a power pole to fall on two vehicles Sunday in the Wynwood section of Miami, authorities said. Assistant Chief Scott Dean, a spokesman for Miami-Dade Fire Rescue, said a car crashed into the power pole about 4:30 p.m. in the 100 block of Northwest 21st Street. The impact sent the pole, along with the wires, crashing into two cars, causing the vehicles to catch fire. A victim was taken by paramedics to Jackson Memorial Hospital. That person died of his or her injures. Dallas Norris and her friends turned down the street just as the pole fell and her friends tried to help the victim. "It's scary. You never know what's going to happen," Norris said. "I didn't know if it was going to explode then and there. I was scared." Police closed several blocks around the site of the crash while they investigated and Florida Power & Light worked to restore electricity to those affected. Police advised people to avoid the area.